Lochay power station hydro generator refurbishment. For your motors, generators, and transformers: high voltage testing in Falkirk. Until now, the Falkirk site has used a 1,250 kVA diesel generator that operates through two step-up transformers to provide 3.3 - 11 kV via high voltage switchgear to the test cell. This setup ensures a reliable power source for testing that is not affected by local demand on the power grid. 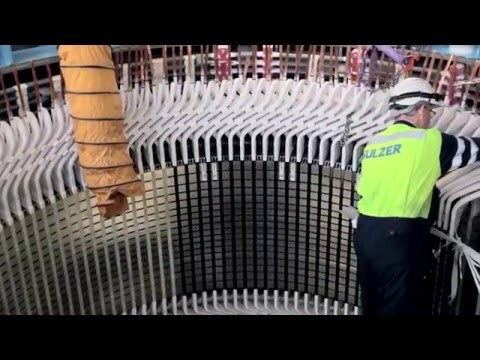 The new investment by Sulzer will add a 2,000 kVA and a 700 kVA generator to the site that will be synchronized through a 4000A LV switchboard, as well as a new 2,500 kVA transformer, that will double the capacity of the test bed. The new control center provides remote visualizations of performance data for both test engineers and customers. The original capacity of the service center was 1,000 kW in load testing, of which 800 kW could be used for testing vertically-orientated motors, across a full range of voltages from 400 V up to 11 kV at both 50 and 60 Hz. The installation of the new equipment will increase the load testing capacity to 2,000 kW for horizontally-orientated motors as well an increase in voltage to 13.8 kV. The majority of the equipment tested in the additional capacity will be large, high voltage, AC motors, but the possibility to test DC motors up to 600 V, with a loading up to 800 amps will still remain. Furthermore, an additional test-bed area is now in place to allow multiple motors to be tested alongside each other. This means that if the testing of one motor needs to be extended, it will not hold up other projects, allowing equipment to be returned to customers even more efficiently. The new test bed offers customers the possibility of load testing generators using a slave motor to turn the generator and connecting the output to a load bank. 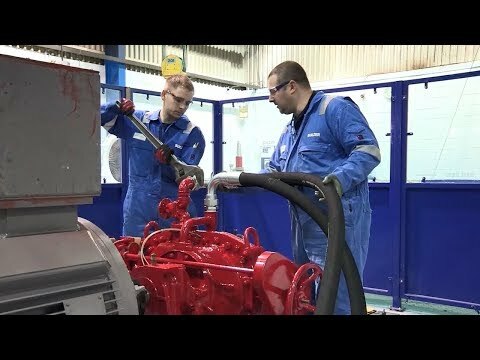 In this way, generators that have undergone major repairs can be tested to ensure that they are fit for purpose before they are re-installed and recommissioned. As part of this upgrade project, the test area is equipped with the latest monitoring controls and safety equipment that provide the test engineers with remote visualizations of the sensor readings while protecting them from large pieces of rotating equipment. A customer viewing area is also available, from where owners of equipment can watch and interact with the test engineers to ensure that the entire process is transparent and straightforward.